Kandy will soon be getting a taste of fine Japanese cuisine courtesy of Café Nihonbashi, renowned Chef Dharshan Munidasa’s casual washoku restaurant. 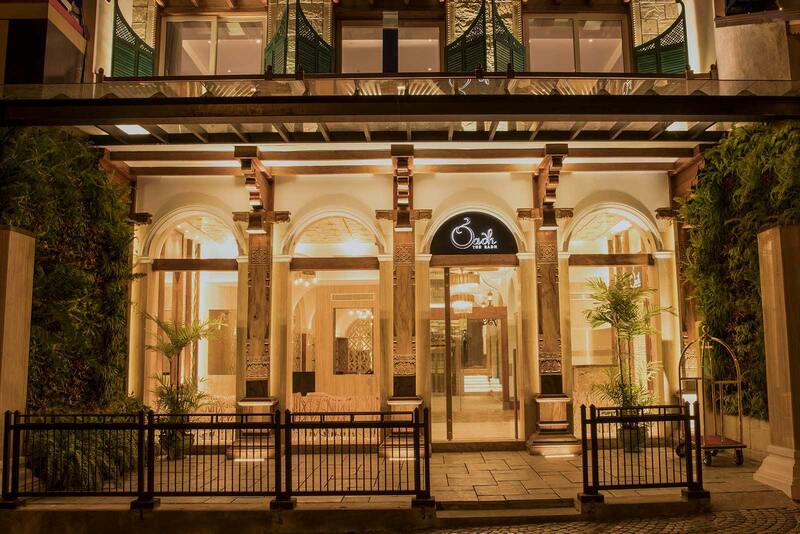 The newest restaurant will be opened in The Radh Hotel, situated on Colombo Street. Café Nihonbashi is an extension of Dharshan’s flagship restaurant Nihonbashi, which has been serving up inspired fine Japanese cuisine for 23 years. Nihonbashi is known for its commitment towards using high quality, fresh ingredients and has also been ranked among Asia’s 50 Best Restaurants for six consecutive years. Similarly, Café Nihonbashi will bring to its newest branch the same level of commitment towards freshness and quality, offering a selection of Sushi as well as other Japanese favorites. The signing of the franchise agreement between Dharshan Munidasa, Founder, Nihonbashi and Afzal Ahamed Marikar, Chairman/Managing Director, Icon Hotel, Conmix Group, took place with the presence of Nayana Ellepola, Managing Director, Nihonbashi and Mohamed Azim Marikar, Executive Director, Conmix Group. “ We are happy to be able to bring an amazing array of Japanese cuisine to the residents of Kandy and the increasing number of tourists. Kandy is an important city for Japanese tourists, being that both Sri Lanka and Japan are Buddhist countries and such is a venerated and respected must-visit city in Sri Lanka”, stated Dharshan Munidasa, Founder, Nihonbashi. Commenting on the partnership, Afzal Ahamed Marikar, Chairman/Managing Director, Icon Hotel said, “When we started working on The Radh, we envisioned to provide a guest experience that will leave an unforgettable memory of their journey to Kandy. By joining hands with Café Nihonbashi and the best restaurateur in the region, Chef Dharshan Munidasa, this vision is becoming a reality. It’s our privilege to host Café Nihonbashi and bring the best of Japanese cuisine to Kandy.